Finding a concealer that suits you can be a mission and a half. Is it a good colour match? Will it go cakey? Should you get a liquid, a stick, or a solid product? I’ve found a couple of close contenders in my time, but so far the perfect concealer has eluded. 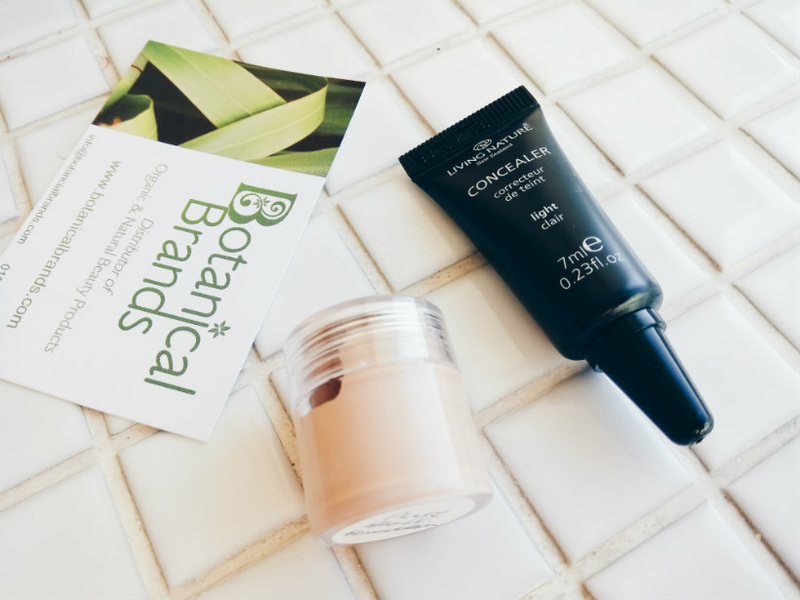 So when Botanical Brands got in touch to ask if I’d like to try Living Nature’s Concealer in Light*, I figured it was worth a go. Living Nature is based in New Zealand and was created after its founder, Suzanne Hall, was inspired to use native New Zealand plants to heal her skin as safely as possible. The company only uses sustainably sourced ingredients that have been certified natural, their packaging is all recyclable, and they don’t test on animals. Sounds promising, but did the concealer work the way I wanted it to? Let’s find out. A sleek, matte black tube. I like this because it’s easy to squeeze out the right amount of product, and it’s more hygienic than a pot. It’s small enough to take on the go, although if you’re going to reapply it in the middle of the day then I’d recommend bringing a brush with you, too. Manuka honey for nourishment, manuka oil for protection, and minerals for skin health. It’s also worth noting that it contains shea butter (albeit further down the list), which can cause some problem skins to break out. This concealer is quite a thick liquid, which means it sits better over blemishes than it does on the delicate skin underneath the eyes. Unfortunately, it can cling to dry patches, even when applied sparingly. It blends well with a concealer brush, but doesn’t do so well if you just use your fingers – it’s all in the tools with this one. Interestingly, you’re meant to apply the concealer before your foundation, not after. I do this anyway because my foundation of choice is mineral, but if you prefer liquids you might want to experiment to see what works best for you. Medium. It conceals redness and dark circles with ease. I could just about get away with this when I first came home from Dubai and had less of a milk-bottle complexion, but after my skin returned to its usual, uber-pale state I found that Light was in fact too dark. Fortunately, my mum, whose skin tone is much warmer than mine, was happy to take the concealer off my hands, and she’s really enjoying using it. This concealer lasts longest when it’s been set with a light dusting of powder. It has better staying power on drier skins, but I wouldn’t recommend it if you really suffer from dryness because of its tendency to cling. One for those for whom oiliness and dryness aren’t too much of an issue? £22 for 7ml. Would I be prepared to pay this? No. I don’t mind splashing out on make-up occasionally, but it has to be something special and this isn’t quite right for me. Pros: Sleek, hygienic packaging; covers blemishes and uneven patches; blends well with a brush; stays put with a little powder dusted over the top. Cons: Shea butter makes some people break out; clings to dry patches; light shade won’t suit the palest skins; v. expensive. 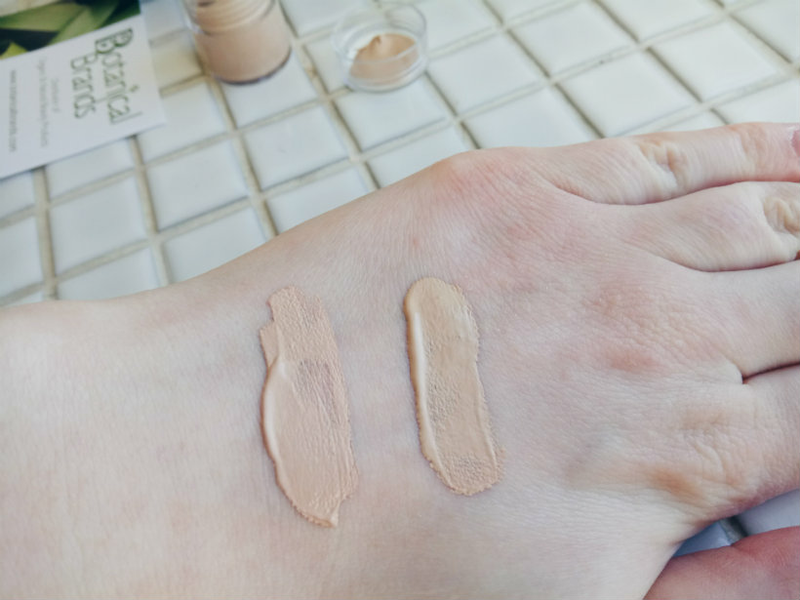 Living Nature’s Concealer doesn’t come in the right shade or formula for me, but if you have a medium skin tone, or skin that tans easily, and not many problems with oil or dryness, then this might strike the kind of balance you’re looking for. What do you look for in a concealer? Let me know in the comments! *Product was sent to me by Botanical Brands for consideration of review. As always, all words and opinions are my own.